Are you comparing the difference between the old style plastic nose Lasers vs the new ones or The Hard Nose with the metal insert vs the new ones?? And how many times have stops been removed from the old ones or are you going by memory..
Got pix?? That plate does not ring a bell. That reminds me, Flyer 5s - M10 kingpins. M10 x what?? Makes a difference..
Looks good to me.. You might want to put those over in the quad forum if you have not already done so..
Just got a bare Sure Grip Junior Pro plate for one of my little ones and the Kingpins and toe stop bolts are different to full size plates. Any idea on these? What was/is the KP size and thread on those? 3/8 x 16 UNC. Added to the list. All my Rockets (I have 2 NTS Rockets I sk8.) have Snyder reverse king pins..
Thats what I was hoping to read. Thanks. I love this thread. every time I get some hair brained scheme going, I know I just need to pop onto this thread and my questions are quickly answered. However, I found a container of studs from days gone by that I want to use and they have the same thread pitch as a Hard Candy king pin. Do you know what these studs would be? Looks like ya got me stumped at the moment.. Sorry. 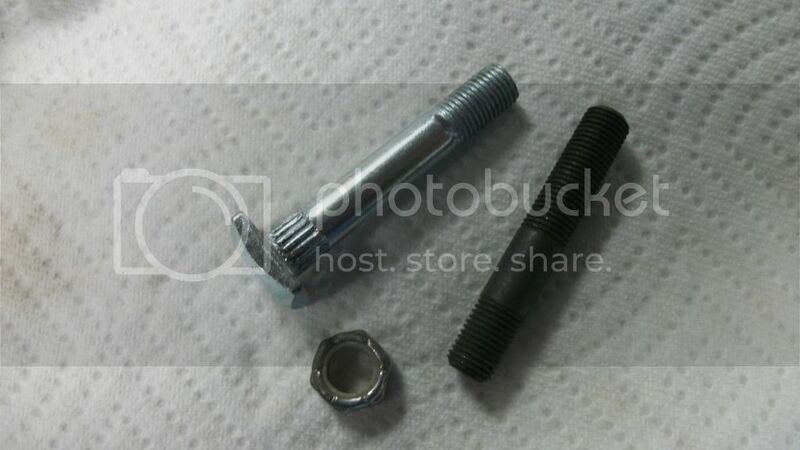 [B]If they are the same thread as the HC it is a 3/8 x 24, same as the Probe and the new Royal on the nut end..
Do you know the thread pitch for the Pilot Falcon plate's toe stop set screw? I just received a set from RCSports with the pivot inserts & toe stop set screws pilfered from the box and I'm trying to find a replacement. I'll have to check. I have a couple of pair here. If I don't get back to ya, send me a PM and bug me. I'm swamped. Update on rhetttro's 3/8 x 24 king pin. First generation Snyder click action king pin from a dance / figure plate. 3/8 x 24 on both ends. I lost one of the nuts off the mounting bolts for my Roll-Line killers. I used the mounting hardware that came with the plates. Do you know what the threads are? I need to pick up a few extra nuts. All of the Roll Line mounting hardware I have is 4mm x 0.7. So I take it that Snyder axles fall into the US 7mm axle category, as they are a Sure Grip company?